Online success starts with a great domain. We make it easy and inexpensive to get the domain you want, fast and very easily. 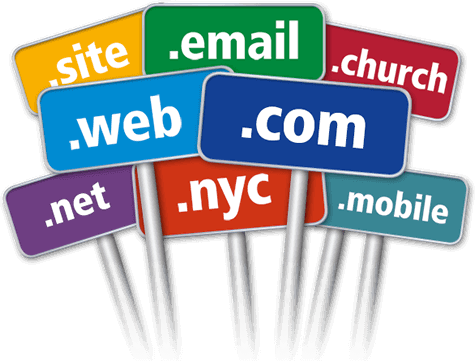 We offer all major Top Level Domains (TLDs). You can register as many domains as you like quickly and easily and can manage all your domains from very easy to use domain management control panel offered by us. Please enter the domain name required by you in the following search box to proceed with the domain registeration. Please click here if you want to transfer your domain name (instead of registering a new one) to our servers for better pricing, easy domain management or for any other reason. We offer as much lower prices as possible. Enable privacy protection for FREE for any of your domains. Change DNS settings or create new nameservers for FREE. Unlike other domain registrars we don't have any hidden costs. Forward any domain to any page you like. Forward emails to Google Apps & other services for Free.